- Very simple. Use left stick to move and press to 'examine' a blinking dot on the map. 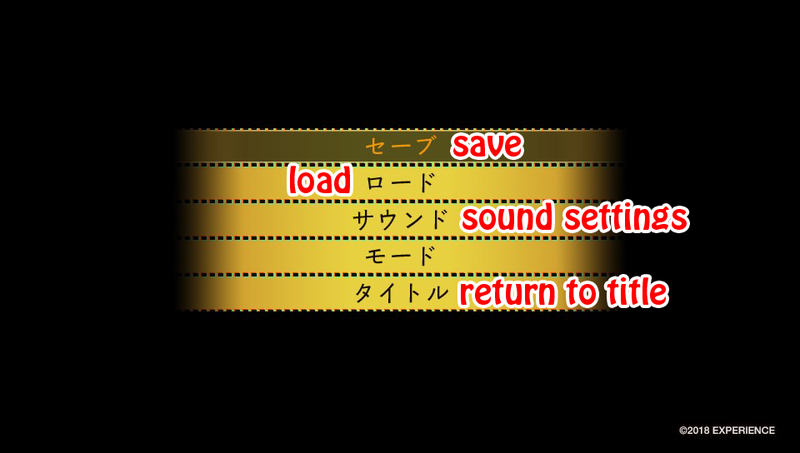 Then you'll get new options on the bottom, which I include in the guide. So if I say "Examine door with ," this means to select a spot with , then again to further examine. 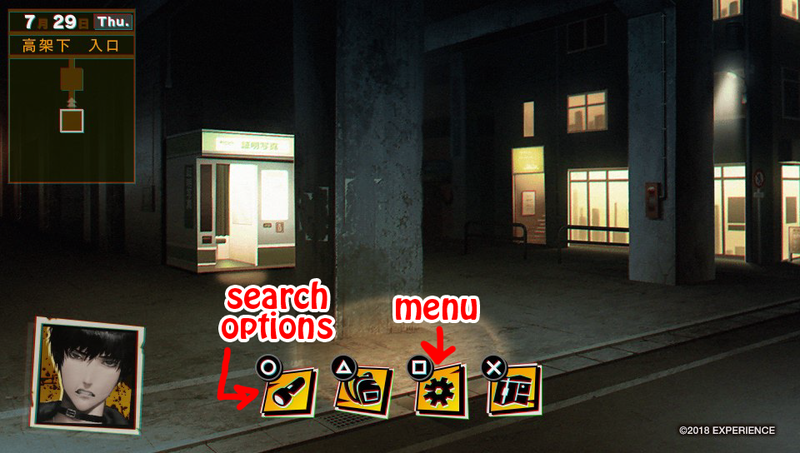 You'll sometimes need to back out from these choices with to move on the map or search something else; I won't mention that each time. - The directional pad moves you across the map. - You can only save on map screens, using (the gear icon). CRISIS CHOICES are "timed" with Secure, a number that continuously counts down with each CRISIS choice. The game gives you plenty of time to prepare and I've marked the choices in the guide. - There's a 1.10 patch, please install it if possible. - Most choices don't matter, they're included for reference. 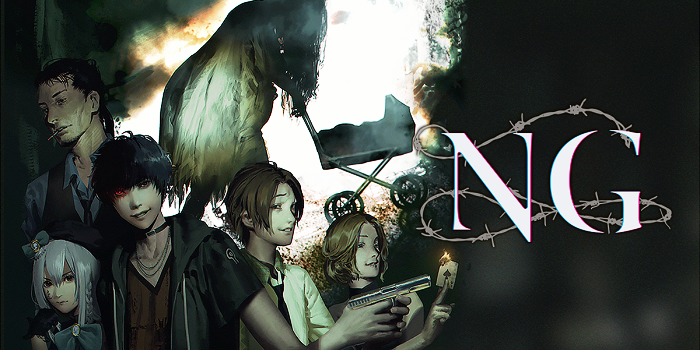 - 2 playthroughs are required, one for the bad ending and another for the normal and good endings. The guide is the same save for boss fights and some inconsequential choices. - Save regularly in case you mess up. - If you get a Game Over, choose first option afterward to restart. I only tested this on Vita. Some trophies might be out of order since I had to rewrite the beginning of the guide, but I assure you they will all pop. Choose any appearance, then top choice. Top option asks if you want to save. - Press up twice. Examine open gutter on right with . Examine white bottle on floor with + 枯れた花. - Press up. Examine all shining dots with starting from right: stack of newspapers, front of cashier desk, fridges, drink bottles on shelf. - Examine bed, first choice. - Press up 2 times. Examine vase. Examine bottom right corner. Examine right wall, select バール. Examine top left ceiling. Examine fence below it. - Examine bottom left corner with . Examine bulletin board in middle with . Examine bright window on right. Examine it again with + 中止のお知らせ. Examine gate. - Examine door with black screens. - Press right. Examine small desk with CDs on right. - Press left. Examine the same door from before. - Examine bright window on right. Examine it again. - Press left. Examine bottom right corner with . Examine fence on left. - Examine bright window on right with . Examine gate. 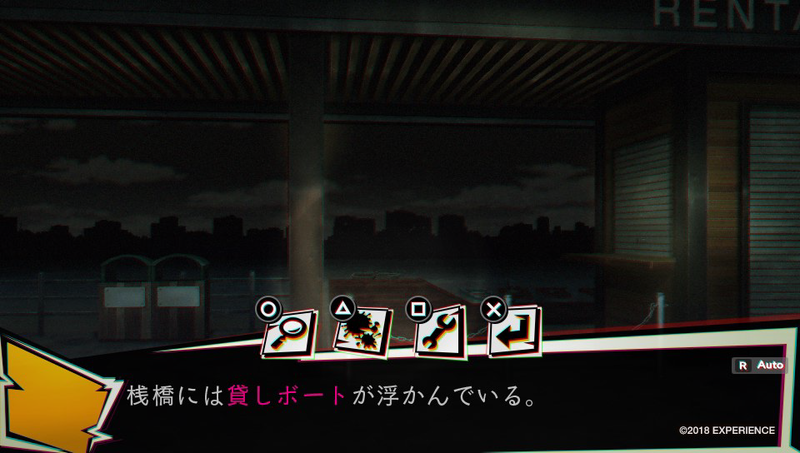 - Examine door with black screens. Examine faucet. - Press down. Examine sink on far left. - Examine paper on ground on right. Make absolutely sure you pick up this item. To double-check, press + and scroll to end of list. "書道展のご案内" is the item. - Press down 4 times. Examine lower right corner of fountain. - Press left. Check fence/grass on left. - Press up. Examine pier in middle. - Press up. Examine white object on left. - Examine bed, first choice. Save on a new file. - Press up 3 times. - Back out. Press down. - Press up. Examine cashier. - Press down 2 times. Examine box on wall on right. - Examine two white drawers on left (once each). - Press right. Examine bookcase on left. - Press down 2 times. There are four pillars. Examine 3rd one from left. - Input "0", "4", and "2", using the last choice to switch pages. - Press up. Examine white box near door. - Press right. Examine bed, first choice. - Press up 3 times. Examine well on right with . Examine steel tower on right. - Examine room with pink light with , first choice. - Press down 3 times. Examine red box on right. - Press left. Examine door with black screens. Examine faucet, first choice. - Press left. Examine pot on left. Examine bed. Examine phone on left. - Press left 2 times. Examine phone on right. - Press up 2 times. Examine woman, first choice. - Press left 2 times. Examine figure on left with . Examine it again with , first choice. - Press up 2 times. - Press down. Examine red mailbox with . Examine man, first choice. - Press down. Examine woman, first choice. - Press left. Examine trash containers on right. - Press left. Examine door with black screens. Examine two leftmost drawers (once each). Examine brown door. Examine vending machine, first choice. - Examine door with lights on. Examine red graffiti next to calendar on left. - Press down 2 times. - Press right. Examine typewriter on left with then . Examine it again with + カーボン紙. Examine it once more with , first choice. You'll see letter choices. Spell out TUBASA. - Press up. Examine ladder, first choice. - Examine leftmost elevator button. - Press left. Examine button panel. - Press up. Examine lower right corner with . Examine chair, first choice. Examine the same area again with . Examine computer (not the monitor, the machine next to it), first choice. - Press up. Examine computer, first choice. - Press left 2 times. - Press right. Examine left light on ceiling. - Press right. Examine button panel. - Examine bookshelf on left. - Examine leftmost elevator button. Examine button panel. - Press down. Move around the right side between the elevators until you see a monkey. - Press right. Examine rightmost elevator button. Examine button panel. - Press down. Examine red tubes on floor with . Examine them again with . Examine Christmas trees on right . Examine shelf on left with . You'll get a Game Over, select first choice to restart. SAVE NOW. 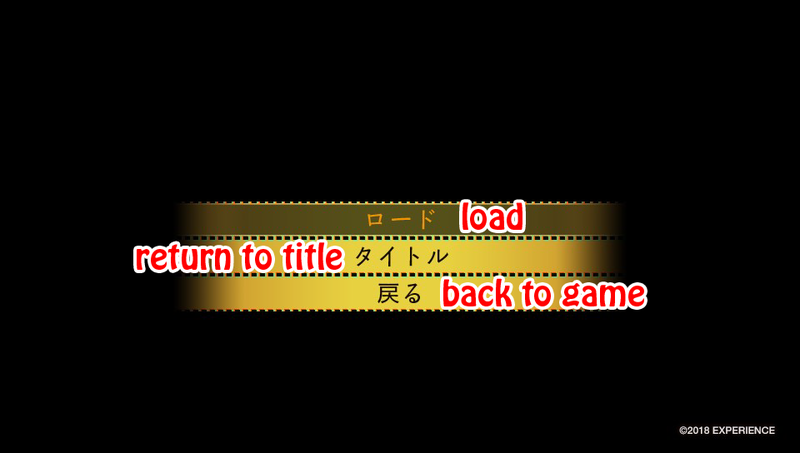 If you save after this point, it will load at the epilogue instead of wherever you saved. So if you mess up, you can't reload to try again. - Examine bag on bed, second choice. !! The choices matter here. Do not choose to save. Now you can save, do it on a new file. This is your clear save file, feel free to keep it. The game starts right from the beginning, so open menu and load up Save #1 to continue. - Press up 4 times. Examine well on right with . Examine little hut in middle with . - Press left. Examine sofa on left with . Examine drawer on right with . - Press right 2 times. Examine paper on floor on right. Examine rightmost bed with . Examine pillows on other bed with . Examine radio between beds with . - Examine bed twice, first choice. - Examine furthest building down the street. Now you can save. The game starts right from the beginning, so open menu and load up Save #2 to continue. Very good guide. Thanksss Sage. Shall I be worried if I didn't get Trophy 9 as indicated in the guide ? (10 popped just fine). I see Sacky got it way much later... I hope will get it as well . That's a story-related trophy I wasn't sure where to place after rewriting the guide, no worries it will pop If you can give me the exact place when you play it, I will edit the guide. I got this trophy 16 only after choosing option 2 and killing the boss, not when I got the "Game over" screen. Trophy 9 plinged couple of seconds after trophy 21 , before choice 1. And platinum! Great guide Sage! All fixed, thanks as always! - Press down. Examine red tubes on floor with . Examine them again with . Examine Christmas trees on right . Examine shelf on left (you need to press here).